Ingredients: purified water, inulin, oat fiber, erythritol, egg whites, almond meal, modified corn starch, olive oil, xanthan gum, guar gum, leavening (monocalcium phosphate, baking soda), stevia, vanilla flavor. 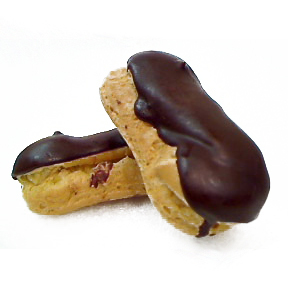 ThinSlim Foods Glazed Cookies are the latest revolutionary product to come out of the ovens at ThinSlim Foods. Just like their other products, these delicious cookies are made with super quality ingredients that result in a low calorie, low carb, sugar free snack. They are available in either Vanilla Glazed or Chocolate Glazed. Warm the cookies for 5 seconds prior to eating for an even more moist and decadent treat. These cookies are sweetened with erythritol instead of maltitol or splenda so there is no aftertaste and no GI distress. 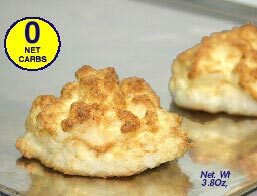 These cookies have been designed so that they won't cause any blood sugar spike in diabetics - a true low carb food. 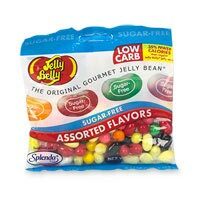 In addition, they have a short ingredient list rather than one filled with processed fillers or other junk.